"My first day as an intern at the Novel Idea Literary Agency began with a caramel latte, a stack of five hundred query letters, and a dead man. I don't know which was worse: the queries or the corpse." After receiving her first pink slip at the age of forty-five, former newspaper journalist Lila Wilkins is desperate for work, even if it means taking a pay cut. After combing through the classifieds, Lila accepts an internship at A Novel Idea, a thriving literary agency in the utopian town of Inspiration Valley, North Carolina. 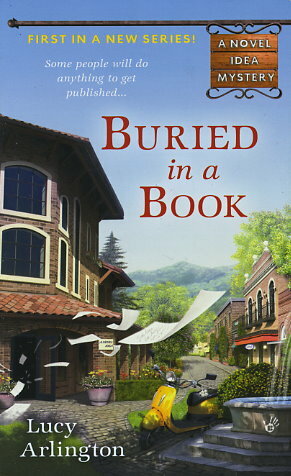 Lila can't imagine anything better than being paid to read, but with a crew of quirky coworkers and a sky-high stack of query letters, she doesn't exactly have time to discover the next great bestseller -- especially when a penniless aspiring author drops dead in the agency's waiting room.